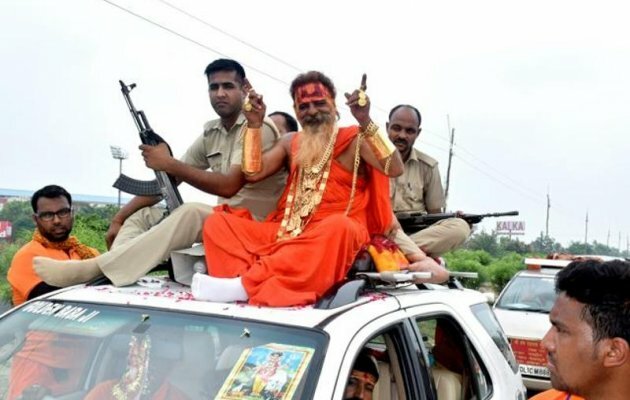 Donning heavy gold ornaments, including 25 chains — each not less than 500gm — 58-year-old ‘Golden Baba’ arrived in Ghaziabad on Monday, in his cavalcade comprising 21 luxury cars, for the final leg of the 200km Kanwar Yatra. 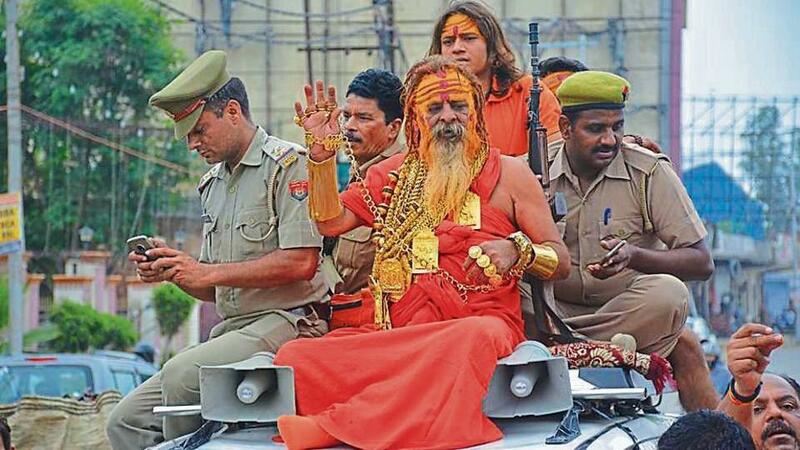 While resting at a resort on Delhi-Meerut Road on Monday, Sudhir Makkar alias Golden Baba — known for participating in Kanwar Yatra wearing heavy gold ornaments — said he will embark on more yatras in the future if his health permits. 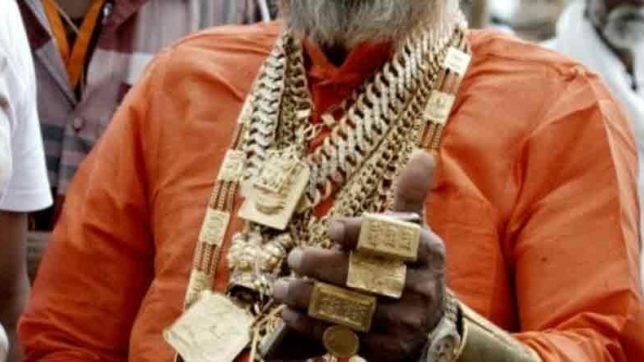 Apart from gold chains, Makkar possesses 21 lockets (of deities), armlets and a Rolex watch that weighs half a kg and is valued at around ₹27 lakh.